Generally, if we are talking about a smell in your basement, it isn’t a pretty one. What you smell may be mold, mildew, cat urine (or feces), dead mice, or sewer gas. If you have an older home, there's a good chance you battle with water in your basement, which leads to some of these problem smells. Even if you install a sump pump, it might not be enough to combat mold. You could also have blockages in plumbing, drains, vents, or HVAC systems. Find out the major causes of bad basement smells and tips on how to get rid of them. Mold and mildew are caused by the growth of bacteria arising from unchecked, stagnant moisture. They can grow slowly over time, or rapidly if you have a major leak. Mold has an unforgettable musty smell of decomposition. A certain amount of mold is always in the air unless you live in an extremely arid region. The more moisture, the more mold. 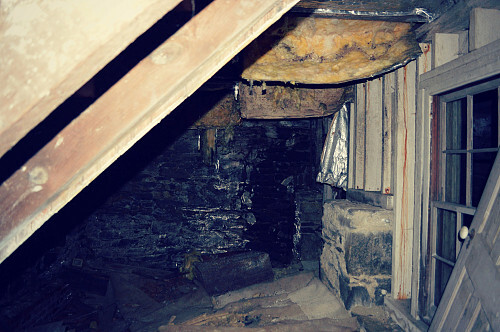 Basements, being underground, can easily become moist via cracks in walls, windows, plumbing, condensation, etc. The best way to deal with mold and mildew is to keep your basement as dry as possible. Invest in a dehumidifier, seal any leaks or cracks in the walls or floors, and invest in gutters so that rainfall drains away from your house. Depending on the age of your home and how well you and previous owners have maintained it, you may always have a slightly musty smell to contend with. Smaller items, when placed in bright sunshine for a couple of days, will often lose both the smell and the mold. Sometimes, if the problem is severe enough, you might need to look into professional remediation. If your furnace and ducts haven’t been cleaned in a while, you may have a build-up of dust, debris, dead bugs and mice, and of course, mold, which can give your basement an unpleasant odor. Have your ductwork cleaned every one to two years. If your basement smells like poop, rotten eggs, or garbage, you have a big problem. Sewer gas has an overpowering smell and is also toxic --even explosive in large enough quantities. Sometimes the odor may be present only when the house is closed up and the heat or air conditioning is on. This smell is created by a build-up of waste materials found in either a public sewer system or a septic system. Plumbing is meant to keep the gases inside the pipes, so if you are smelling sewer gas, you may have a clog or a crack in the system. You may also have a clog or crack in your venting pipes. Most homes have venting pipes through the roof as part of the plumbing. These pipes are not for exhaust, but for intake of fresh air. You may be smelling sewer gas as a result of plumbing fixtures whose traps have gone dry. That is why, if you are going to be away from home for several days or more, you should have someone flush your toilets for you occasionally. Water evaporates more quickly than you might think. Sewer gas problems can be very serious and will likely require you to hire a licensed plumber. Professionals are equipped to use a variety of specialized detection methods such as forcing smoke through your plumbing/septic system. Pungent and pervasive are the best words to describe the smell of cat urine. There are plenty of products out there that claim to kill the odor, but you will likely end up going through a similar process as with mold. You will often need to tear out any wood or wallboard that has been sprayed. Throw out everything that has the smell attached to it. Liberally spread baking soda in the area and vacuum it up a few times. The use of Kilz or stain on well-cleaned walls or wood will also help. Last, you may detect the sickly-sweet smell of decomposition. You may have dead mice or bats in a crevice or wall. Unfortunately, unless you are remodeling anyway, time is the only cure.